Like most dealers, you would probably like to know exactly what your competitors are up to. It’s always a good idea to keep an eye on their strategies—especially in digital marketing—so you can go one step further to outrank, outperform or just outright dominate them in your market. At Convertus, we’ve got a few sneaky tricks we use to spy on the competition and evaluate what they’re doing. We’re going to let you in on one of our secrets that many dealers haven’t caught on to yet: spying on your competitors’ active Facebook ads. You likely don’t see your competition’s Facebook ads in your own newsfeed, at least not all of them, so how can you find them without being a computer hacking ninja? Read on. 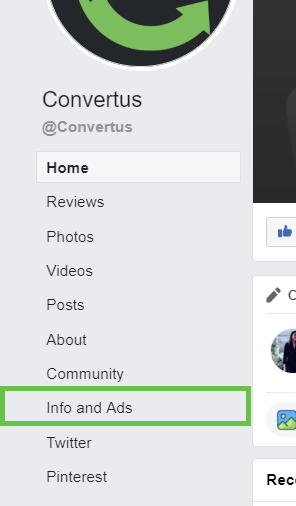 Go to your competitor’s business page on Facebook. On the lefthand navigation bar below the profile photo, you’ll see the tab “Info and Ads” near the bottom. Click it. The page you land on after clicking “Info and Ads” will show you if that particular dealership is currently running any ads and what they are. If they aren’t currently running any ads, nothing will appear. Spy, take notes and strategize. Tip: Use Facebook’s geographical filters to determine if the competition is running ads in your location or other locations. Now, within seconds, your dealership can spy on its competitors’ ads with just the click of a button— for free. Use this tactic to gather ideas, inspiration, and insight into what your competitors are actively promoting and how they’re positioning themselves in your market so you can go a step further.